I woke up this morning to the very lovely news that my story, ‘Visitors’, which was published in the Review of Australian Fiction in the middle of last year, has been shortlisted for an Aurealis Award in the Short Fiction Category alongside stories by Margo Lanagan, Greg Mellor and Kaaron Warren. Obviously being on the shortlist is pretty fabulous in itself, but I’m doubly pleased because it feels like a real vote of confidence in the time and effort the Review’s editor, Matthew Lamb, has invested in the publication. Matthew’s now editing Island (a process he spoke about recently) but in his time at the Review he helped create a space in which both new and established writers could stretch themselves and try new things, a process that’s paid off in spades over the past couple of years. You can read the full list of finalists over on the Aurealis Awards website, and if you’d like to read the story itself it’s available for $2.99 through the Review of Australian Fiction (or you can get the whole of Volume 2 for $9.99). My congratulations again to all my fellow finalists (and in particular Margo Lanagan, whose novel, Sea Hearts, was also shortlisted for the Stella Prize earlier this week) and my thanks to the judges and organisers for all their hard work. 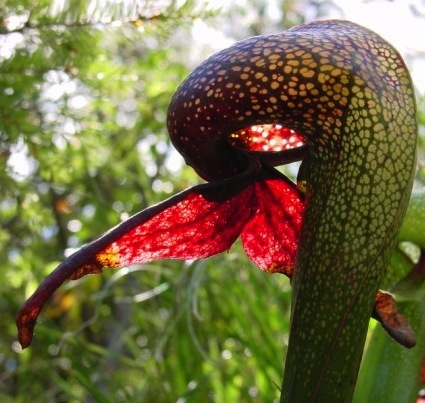 Oh, and the picture of the pitcher plant? If you read the story you’ll understand.